In April last year, Starboard Value’s Jeff Smith discussed in a CNBC interview his opinions on the changes that Newell Brands (NASDAQ:NWL) was going through during April 2018, and emphasized the potential of Starboard Value’s investment in the company. Newell Brands was undergoing a sales drop of 55% in 2017, and the plan was to reorganize the company’s management board in order to improve the company’s business. In this article, we are going to take a look at what Jeff Smith said, and what has happened in the meantime. Later on, at the end of April 2018, a new agreement was made when Icahn was asked to give up two board seats in favor of Starboard, which, in Jeff Smith’s view should have brought significant improvements in the company’s operational transformation. By May, Starboard Value held around 3.8% beneficial ownership of Newell Brands’ shares. However, since April 2018 the situation has been worsening in Newell Brands, and its stock price was going down, reaching its lowest trade of $15.40 on October 29th. During November the stock recovered by 8% when Christopher Peterson was announced as the new Chief Financial Officer. But this was just a brief positive turnaround – overall, the stock lost 40% over the past 12 months, and on March 18th it had a closing price of $15.98. For the fourth quarter of 2018, Newell Brands reported net sales from continuing operations of $2.3 billion, compared to $2.5 billion in the same period of 2017. It also disclosed EPS for the total company of $0.46, versus EPS of $3.38 in Q4 of 2017. The company deployed $2.6 billion to debt repayment, $996 million to share repurchases, and $102 million to dividends. At Q4’s end, a total of 30 of the hedge funds tracked by Insider Monkey were long this stock, a change of -17% from one quarter earlier. By comparison, 30 hedge funds held shares or bullish call options in NWL a year ago. When looking at the institutional investors followed by Insider Monkey, Icahn Capital LP, managed by Carl Icahn, holds the number one position in Newell Brands Inc. (NYSE:NWL). Icahn Capital LP has a $764.4 million position in the stock, comprising 3.7% of its 13F portfolio. 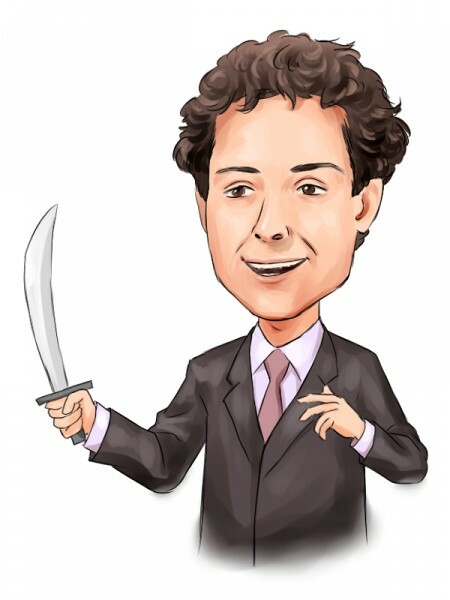 On Icahn Capital LP’s heels is Richard S. Pzena of Pzena Investment Management, with a $340.3 million position; 2% of its 13F portfolio is allocated to the stock. Remaining members of the smart money that hold long positions contain Israel Englander’s Millennium Management, Charles Lemonides’s Valueworks LLC and Ken Griffin’s Citadel Investment Group. Due to the fact that Newell Brands Inc. (NYSE:NWL) has faced falling interest from the smart money, it’s easy to see that there lies a certain “tier” of hedge funds that slashed their full holdings by the end of the third quarter. Interestingly, Larry Robbins’s Glenview Capital cut the biggest stake of the “upper crust” of funds followed by Insider Monkey, totaling close to $393.7 million in stock. 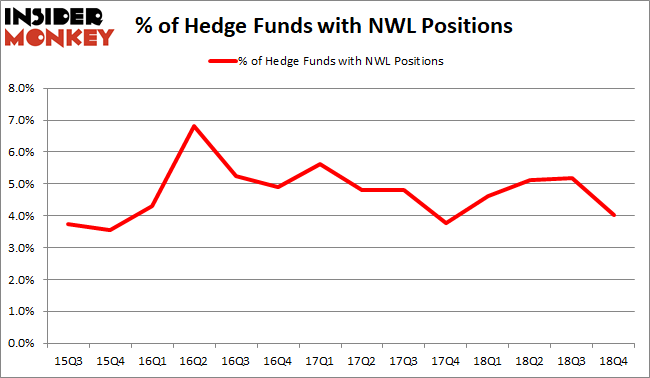 Overall, though, NWL is still very popular among hedge funds. Similarly valued stocks have lower number of hedge funds with bullish position. However, we believe, Newell is potentially a value trap and we definitely don’t recommend a long position. Our proprietary algorithms hasn’t flagged it as a short candidate yet, so we wouldn’t short it either. There are just better stocks to go long and short.